A convenient, effective way to get your daily amount of CBD. 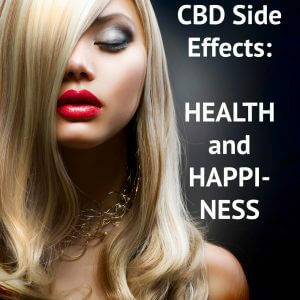 Whether you are looking for CBD to relieve particular ailments or symptoms, or looking to use daily CBD supplementation to improve your overall health and well-being, you want an easy-to-use method where you know how much CBD you are getting with each pump. CBD supplement pump with either 750 or 1500 mg of CBD in this easy-to-use titration formula. This product comes in a 1 oz (30 ml) bottle and has 140 pumps per bottle. Instructions/Dosage: Shake well before use. Adults: Take 1 to 4 pumps. Follow with water. Why does this CBD supplement pump contain coconut oil? Cannabinoiods like CBD are fat soluble rather than water soluble. That means you absorb them better in the presence of fats. The type of fats in coconut oil work very well with CBD supplements because they CBD can bind to the high saturated fat content of coconut oil. With the 750 mg pump, you know that you are getting 5.36mg with each pump. We recommend that you use 1-4 pumps, twice a day, usually morning and evening. You can start with the 750 mg bottle and work your way up to 4 pumps twice a day until the bottle is empty. If your symptoms have not eased, the reason may be simply that you require more CBD. The 1500 mg bottle contains 10.72mg of CBD in each pump. The recommended dosage is the same: 1-4 pumps twice a day. It’s important to remember that your body responds best to CBD when you your cells know that it will be available on a REGULAR basis to them. That is when they really begin to benefit to an effect of CBD called homeostasis. Homeostasis means bringing balance and harmony. This is one of the side effects of CBD. As we like to say, The Side Effects of CBD are Health and Happiness. I use the 1500 MG CBD product for the anti-anxiety calming effect it has on me. I take a drop in the morning and before bed. It has a subtle soothing effect that takes the edge off of the stresses and trials of everyday life. I highly recommend it and would suggest anyone give it a try. It’s much better than prescription drugs designed to do similar things. I was so excited to receive my bottle yesterday. I slept really well last night after taking the 1500 mg CBD pump. I took it three different times. It took the edge off throughout the day, and other good things! I hope you realize what you have here. I’ve seen what CBD does. Amazing!!! I’ve used myself and my dog and willing friends as guinea pigs for the last 8 months. And the results are astoundingly positive in every way… I don’t need hip replacement anymore…. I can list about 20 noticeable differences.